39 years old, Italian. Has been developing the photovoltaic residential market in Italy over the last 10 years. 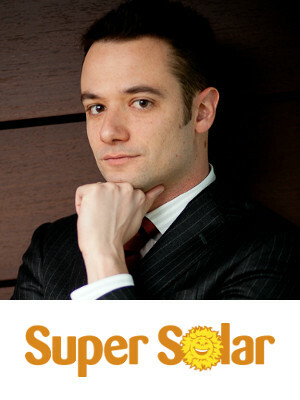 Now he is VP of Sales & Marketing and Member of the Board of Directors of the oldest Italian Solar Company: Solar Energy Group Spa, established in 1982.